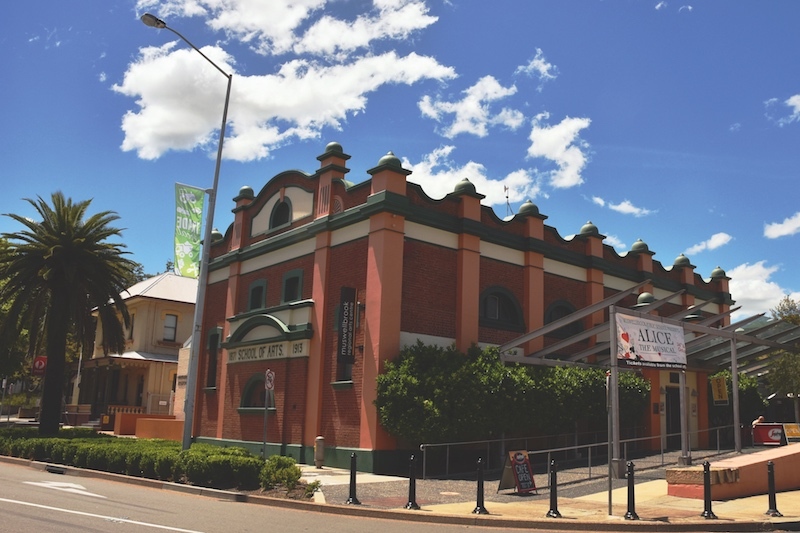 MUSWELLBROOK REGIONAL ARTS CENTRE is home to the Muswellbrook Shire Art Collection and the Max Watters Collection, nationally recognised collections that form the centrepiece of the gallery. The collections include examples of painting, printmaking, drawing, sculpture, photography and ceramics, and feature some of the most important Australian artists of the past 60 years – and many local artists from the Hunter Region. The Max Watters Collection is regarded as one of the most significant collections of its type in rural Australia, and showcases some of the most influential names in Australian contemporary art including John Perceval, Grace Cossington-Smith, Ken Whisson, Charles Blackman, Jon Plapp, Danila Vassilieff, Euan Macleod, Imants Tillers and Tony Tuckson. These works complement other prominent artists represented within the Muswellbrook Shire Art Collection, acquired through the Muswellbrook Art Prize. These include Suzanne Archer, David Aspden, Sydney Ball, Marion Borgelt, Greg Daly, Dale Frank, Guy Grey-Smith, Richard Larter, Margo Lewers, Elwyn Lynn, Bea Maddock, Angus Nivison, Mike Parr and Fred Williams. Established in 1958, the annual Muswellbrook Art Prize today offers a total prize pool of $71,000, making it one of the richest prizes in regional Australia. The prize attracts artists from across the country to each of its prize categories: painting, works on paper and ceramics.